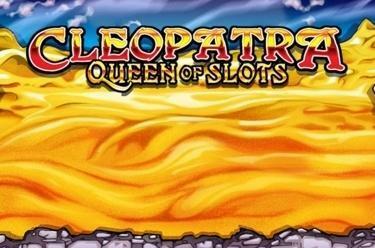 Play Cleopatra – Queen of Slots online for free now! No other empress can match the beauty, wealth and power of Cleopatra! Now you can witness it first-hand! A luxurious bath filled with Twists awaits you in Cleopatra's palace! Land the right hieroglyph combinations and grab big wins with a private audience with the beautiful ruler! 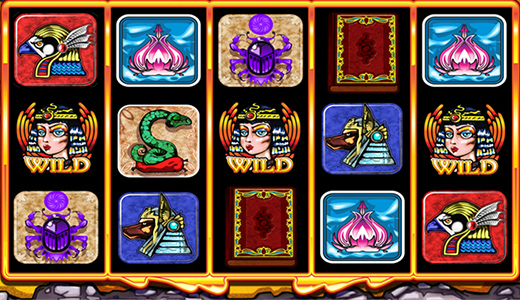 Fill the 20 win lines with 5 matching symbols and rejoice over imperial winnings! All 20 win lines begin on the left on the first reel and run along the win line to the right. To win matching symbols have to land along the win line without being interrupted by other symbols. Cleopatra can complete all line wins and grants you a tenfold increase of your winnings if she is part of the winning combination. The 'Book' is the 'Scatter' symbol and triggers bonus rounds. 3 or more 'Books' in any position start the bonus games. To begin you choose 2 books: The first 'Book' will determine how many Free Spins you receive and the second 'Book' will randomly select an additional 'Wild' symbol for the duration of the Free Spins. The Bonus Game will automatically use the bet and the number of lines from your last regular game. You can win additional Free Games during the Free Games.